AmpliFi Routers and MeshPoints are designed to work in combination to eliminate any dead spots in your home. They utilize mesh technology to provide powerful wireless performance in an innovative and simple design. With turbocharged 802.11ac Wi-Fi, AmpliFi utilizes multiple self-configuring radios and advanced Wi-Fi antenna technology to bring ubiquitous secure Wi-Fi coverage to any home network. Ensure that your smart TV, wireless security cameras, digital downloads, and streaming devices have the connectivity demanded in today's modern home. The intuitive, easy-to-use AmpliFi app allows you to set up your system in mere minutes. It also features configuration options, powerful reporting metrics, parental controls, remote access, and easy guest access. The mobile app is available for download on Android™ and iOS smartphones. The AmpliFi Instant Wi-Fi System includes a router with an easy-to-use touchscreen display, 1 Gigabit Ethernet port, a WAN port, an Ethernet cable, and one MeshPoint with an Ethernet port to maximize coverage and eliminate dead zones in your home. 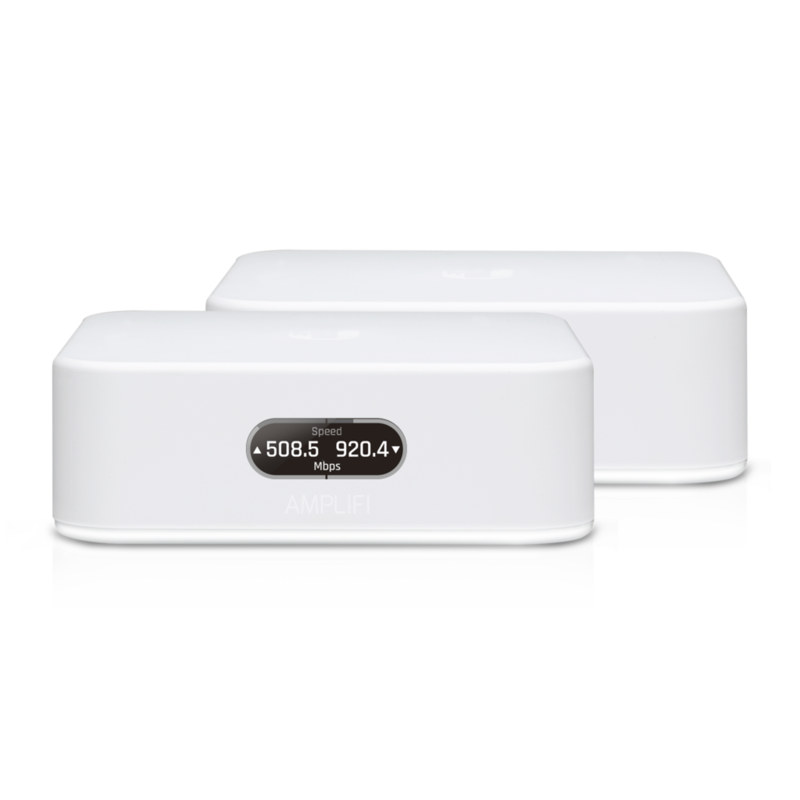 The AmpliFi Instant Wi-Fi system provides superior coverage with a range of up to 4,000 sq. ft and quick setup for whole home coverage with seamless Wi-Fi. Download the Ubiquiti Amplifi Instant Datasheet (PDF).